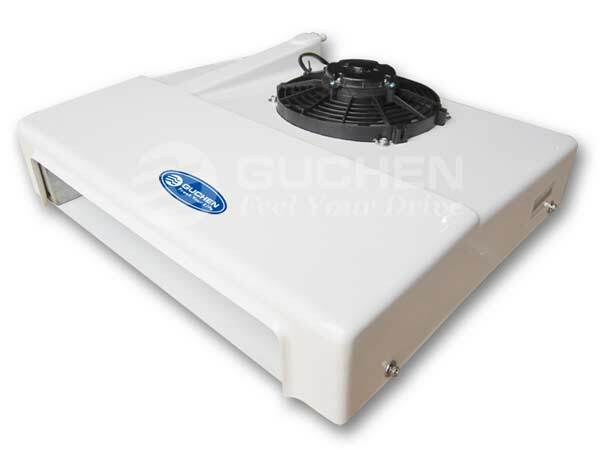 Guchen's electric refrigeration unit for cargo van is DC powered refrigeration unit, which is also rooftop mounted non-independent refrigeration systems, driven by the vehicle battery. 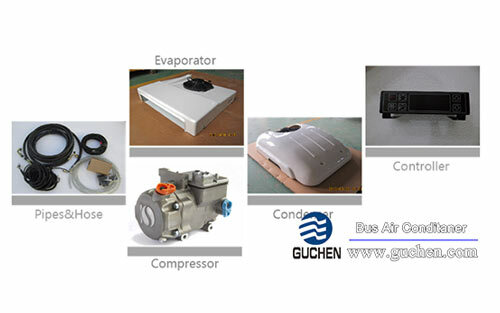 The critical components are imported from famous world-top brands with high quality; The DC powered refrigeration units have the stylish streamlined appearance compatible to the vehicle body; The refrigeration units are designed specially for Sprinter,Ford, Fiat,Renault,VW,EVECO...Vans and 2~5m³ volume of containers. 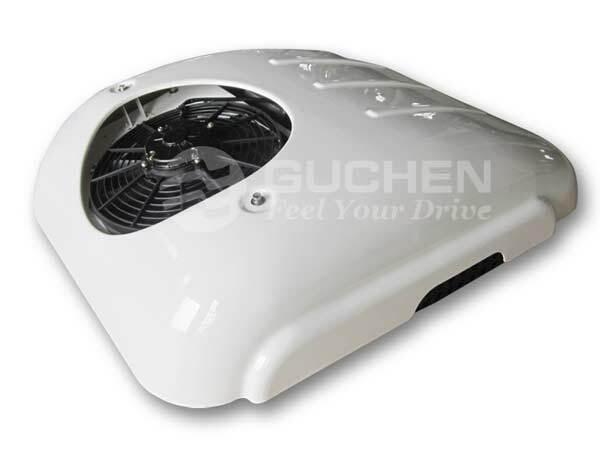 Why Guchen TR110D Electric Van Refrigeration Unit is the Best Choice for Cargo Van ? 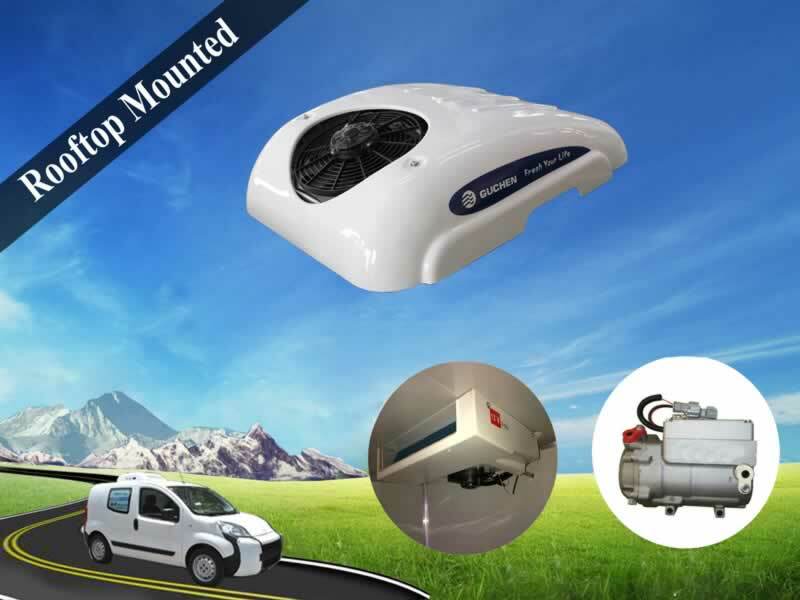 √ For most small van, there are no spaces to install compressor, so electric refrigeration unit will be the best choice. 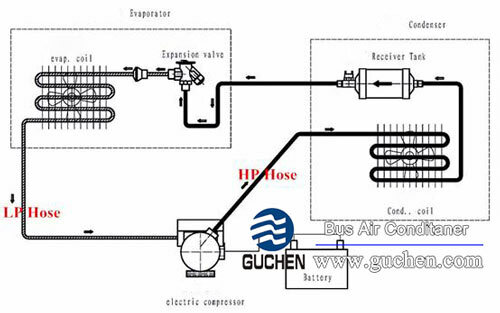 That is because the compressor is in the inner side of condenser, so you don't need to consider whether there is a space for installation of compressor. 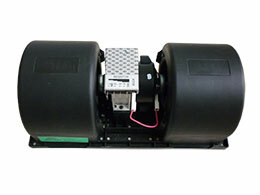 √ For condenser, we use parallel flow core, its weight is light and cooling fast. √ For evaporator, we use copper pipe & aluminum foil fin core, so it has a better heat dissipation performance. 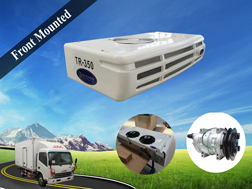 The TR-110D electric cargo van refrigeration unit is used to store fresh for the delivery of fresh goods like fruits, vegetables, meat,cakes,etc. 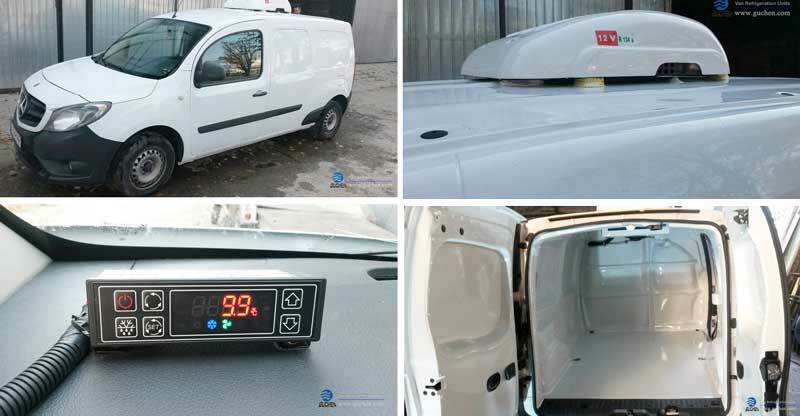 , application for 2~5m³ van and truck body at temperature of -5℃~+25℃. 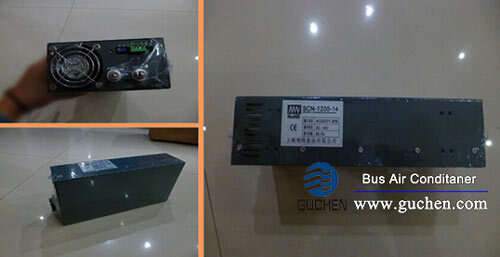 The system has the following features: high efficient, energy saving, quick refrigerating and accurate temperature control,etc. 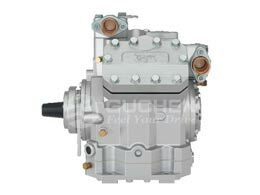 Top brand key parts: Sanden; Danfoss; Good Year; Spal; Codan, etc. 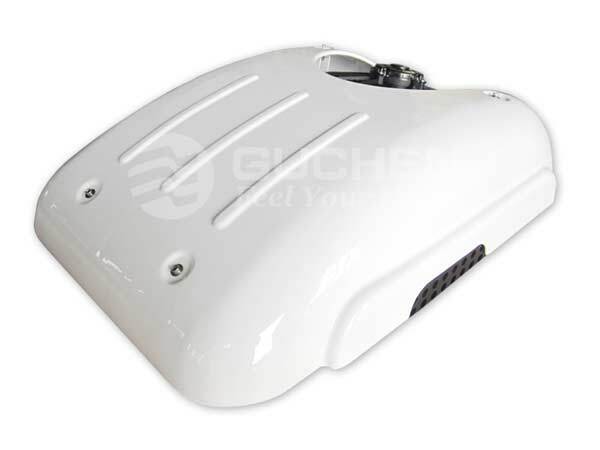 Pro-active service; reasonable price; long life time products quality. The Condenser is rooftop mounted; the Evaporator is horizontally mounted on the ceiling of the container. 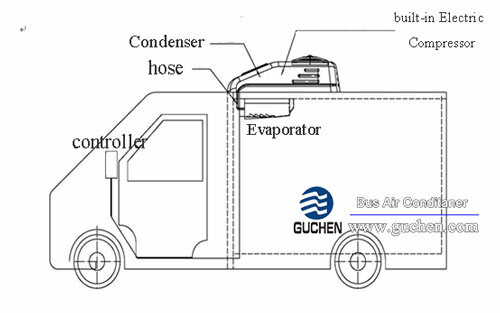 The Controller is installed in the driver’s cab; then connect the Hose pipes and Wire harness among the Condenser, the Evaporator and the Controller, and bound tight the pipes and wires. 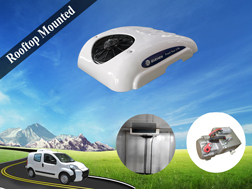 How could the Electric Refrigeration Unit Run when the Van Stops? 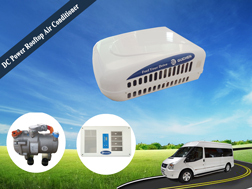 When cargo van stops, the battery won’t last long to keep driving the refrigeration unit. 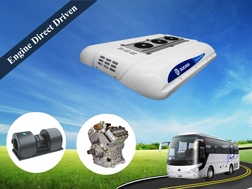 Then we equip the refrigeration unit with an extra Transformer(AC Power Switch), which can transform the AC main power to DC12V/DC24V; besides, it can be plugged into the 240V/380V main power supply , and in the mean time charge the vehicle battery.So it’s very simple and convenient to run the van refrigeration units when the engine is off.